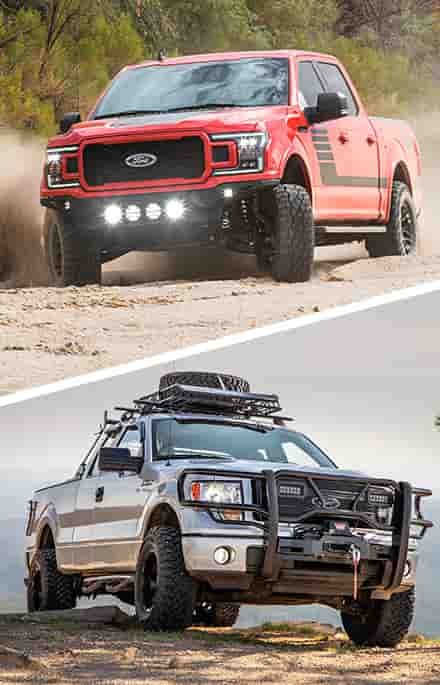 The 6.4L Powerstroke diesel and the 2008 to 2010 Super Duty trucks breathed life and performance back into Ford's F250 and F350 lineups. These mighty trucks were a huge improvement over the 6.0L Powerstrokes that came before and respond extremely well to even the most basic of performance upgrades. 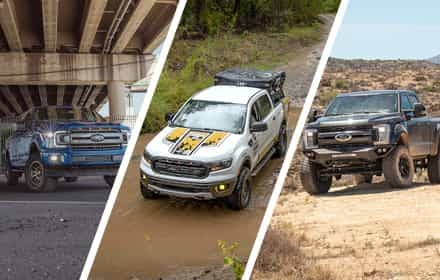 We here at Stage 3 carry a ton of F250/F350 6.4L performance parts for your Powerstroke diesel that can make your truck a force to be reckoned with on or off the beaten path. 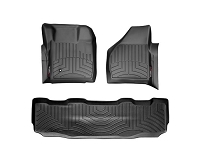 Ford Super Duty Fitments: 2008, 2009, 2010 Ford F250 & F350 6.4L Submodel Fitments: FX4, King Ranch, Platinum, Lariat, XLT, XL Some Exceptions apply, please see individual product pages for specific fitments. Most of us rejoiced when Ford replaced the 6.0L Powerstroke with the 6.4L in 2008, which was a huge improvement over its predecessor. While not as high-flying as later Ford diesel engines, the 6.4L Powerstrokes can be found used for bargain prices and leave enough room in your wallet for some serious modifications. 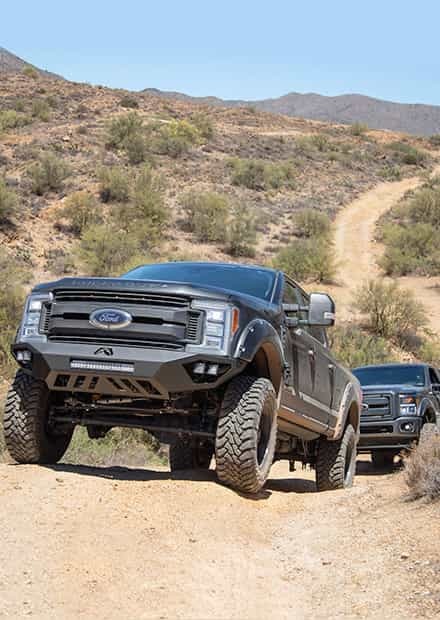 Like most diesel engines, the 6.4L Powerstroke responds remarkably well to even the most simple of modifications and can easily be turned into an amazing high-performance truck with minimal cost. Throw in a lift kit and some exterior accessories and you'll have the most unique truck on the road. I've never owned a diesel before. Where should I start? 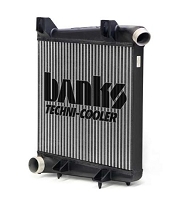 Though it's a bit of a cliché, we always recommend starting off with a cold air intake. We know that every 16 year old with a beater four-banger throws on a cold air intake, but diesel engines have a lot to gain from even the most simple of cold air intake. Your average 6.4L Powerstroke cold air intake can add up to 20 horsepower and a 40 lb-ft of torque. 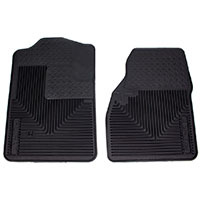 Diesel engines love to breathe, and any increase in airflow has the potential to get you big gains. How do I get a better sound? 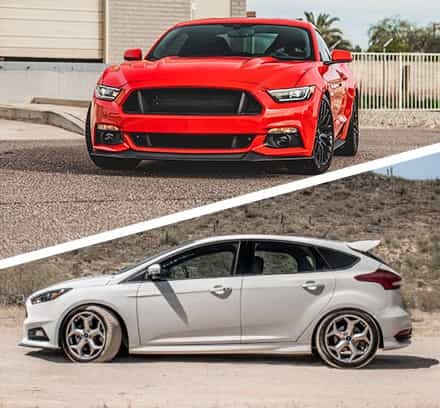 With one of our 6.4L Ford filter-back exhaust kits, duh. 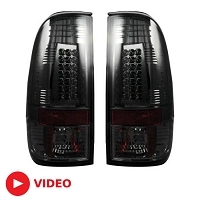 The good news for owners of 6.4L Powerstrokes is that a fairly simple filter-back exhaust kit can get you pretty awesome power gains on top of a big, mean sound. 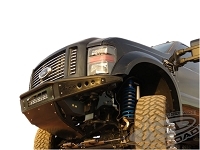 Unlike cat-back and axle-back kits on gasoline vehicles, diesel exhaust systems can get your truck pretty good performance gains with minimal effort and cost. 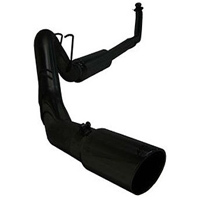 Some of the Super Duty filter-back exhaust kits here at Stage 3 can get you up to 15 horsepower and 25 lb-ft of torque. 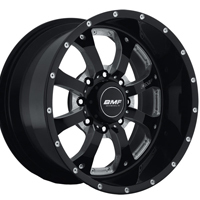 Our most popular kit comes from MBRP and is available in several different finish options to match your truck. What's tuning and why is it so popular? 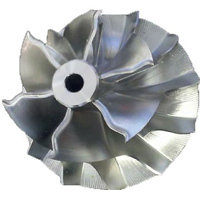 Tuning for diesels is roughly the same as typical gasoline engines: it involves altering certain files in your truck's PCM to generate more power with a tuning device of some sort. Where it differs is the end result. Unlike a standard gas engine, diesel engines can take all of the air and fuel that you can throw at them until they tear themselves apart. 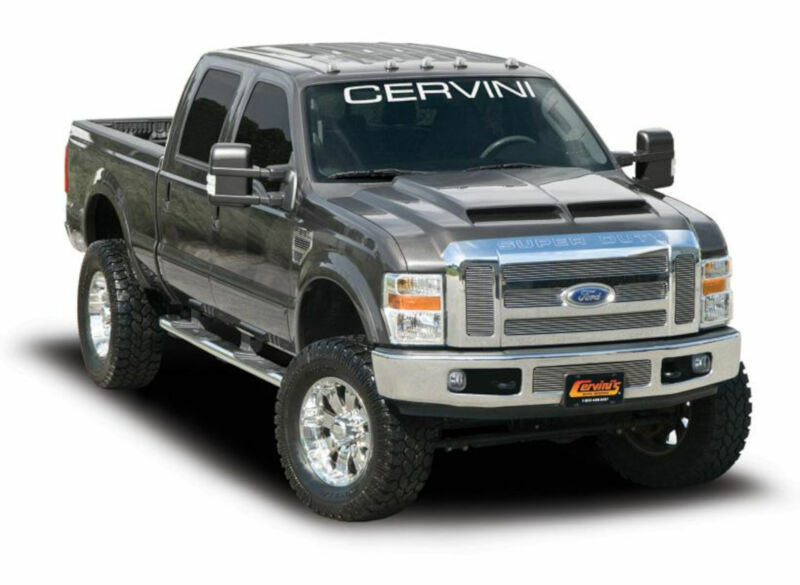 Tuning your 6.4L Powerstroke is the most powerful thing you can do to your truck with some high level tunes adding as much as 100 horsepower and 200 lb-ft of torque. Most tuners come with several different tunes arranged into separate power levels for different applications. 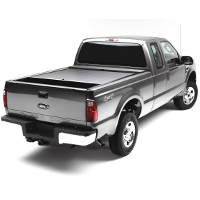 Low-level tunes can be added to your truck without any hard parts and give you respectable power gains, while top-level tunes give you immense power gains, but require intake and exhaust upgrades to avoid excessively high exhaust gas temperatures (EGTs) that can hurt your engine. There are a bunch of different tuners available for the 6.4L Powerstrokes, but all of them are fairly similar in function. 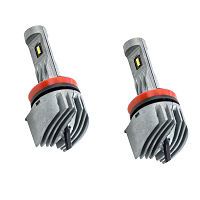 Our two most popular tuners are the Edge CTS and the resurrected H&S "Street" tuners. All this power is great, but how do I stop this thing? 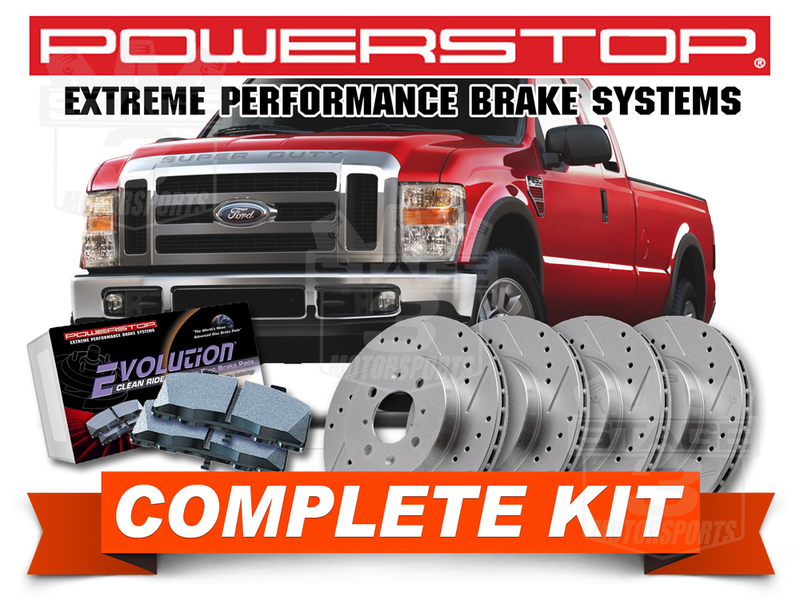 Luckily for you, we here at Stage 3 are one of the few places that have decent brake hardware for the 2008 to 2010 Super Duty trucks. 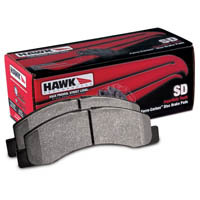 We have a nice selection of brake pads from Hawk Performance and even an entire rotor and pad kit from PowerStop. 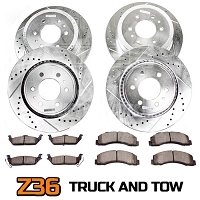 All of our brake components offer up better performance and are especially handy while towing or hauling. I want to do some off-roading. 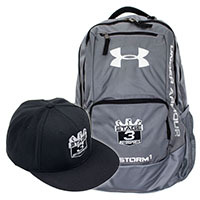 What do I need? 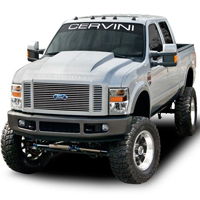 First, you'll want to go browse our selection of Super Duty lift kits. 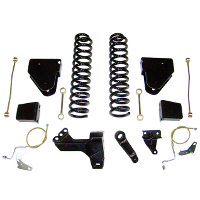 We carry everything from small 1.5" leveling kits to utterly massive 10" suspension lift kits. 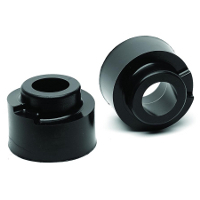 If you just want some spare clearance to mount a set of slightly larger tires for the occasional trail ride, then we recommend grabbing Daystar's 2.5" front leveling kit. 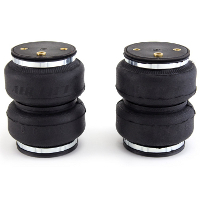 This leveling kit gives your truck a more even stance and lets you throw on up to 33" tires. 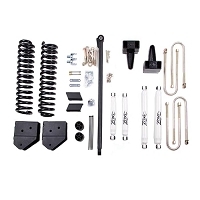 if you're turning your 6.4L Super Duty into a real off-road performance truck, then you should take a look at our ProComp 6" suspension lift with powerful reservoir shocks that can handle just about any terrain. I want to make my truck look awesome now that it runs awesome. 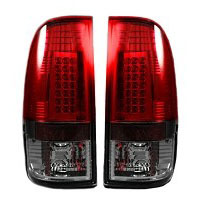 Aftermarket lights make these trucks look awesome. 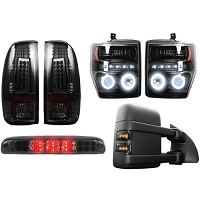 We carry a bunch of DOT-approved tail light and accent light options from Recon that can help make your truck look absolutely wicked. 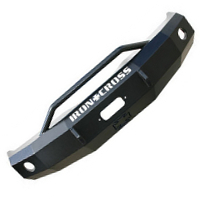 If those aren't enough, then take a look at our selection of off-road LED light bars from Rigid Industries. 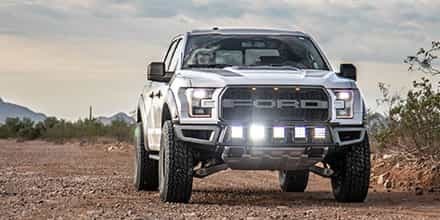 These badass light bars are some of the toughest and strongest lighting systems on the planet and are much more likely to survive hostile terrain than you or your truck. 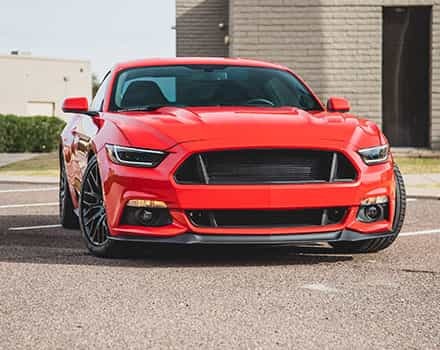 Add a billet grille and an awesome cowl or ram air hood from Cervini's and you'll have one of the most awesome 6.4L Ford Super Dutys on the road. What's an EGR and what's so bad about it? 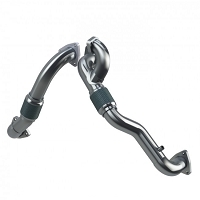 EGR stands for Exhaust Gas Recirculation and it's a system designed to reduce the emissions of your truck. 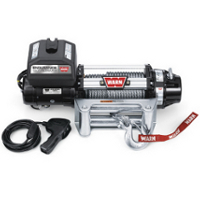 An EGR system works by routing some of your truck's exhaust gasses back into your engine's cylinders to be re-burned. While this system is successful in reducing emissions, it causes a few problems because diesel exhaust is inherently sooty. 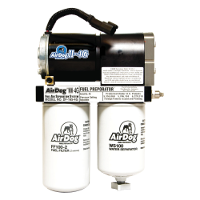 Your truck's EGR system includes a pair of EGR coolers that lower the temperatures of the recirculated gasses before they hit your engine. Your stock EGR coolers aren't the most efficient things in the world to begin with and only cool those gasses so much. 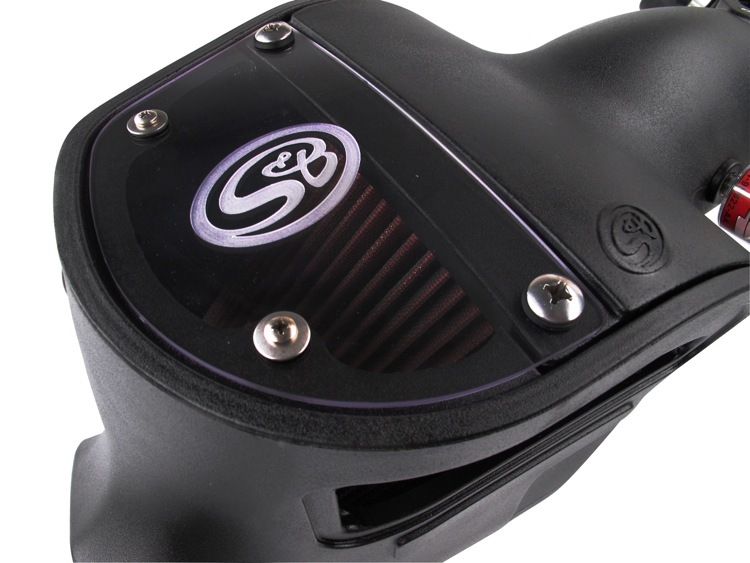 Next, the factory EGR coolers tend to clog with soot over time, greatly limiting their ability to cool exhaust gasses and negatively effect your engine's performance. 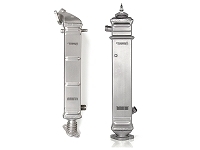 The good news is that aftermarket EGR coolers are available that have improved flow and cooling abilities. The other thing that's key for a healthy EGR system is keeping your engine coolant as clean as possible and flushing your system on a fairly regular basis.